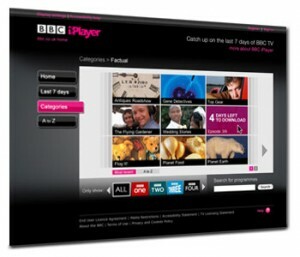 The BBC’s iPlayer received 1.94 billion requests for TV programmes last year. Two thirds of requests are from PCs but the number from connected devices is growing, in December, seven million programmes were requested on connected devices, a 1000 per cent year-on-year increase. Smartphones accounted for 13 million requests, up 163 per cent year-on-year, and tablet devices accounted for 10 million requests, up 596 per cent. “While 2011 was a remarkable year for BBC iPlayer across the board, the real story was growth of iPlayer on TVs, mobile phones, and tablets, outpacing PC growth many times over,” said Daniel Danker, the BBC’s general manager for programmes and on-demand.